Having trouble deciding where to have lunch? Overwhelmed with all the choices? Not sure where to start? Then this food tour is your cup of tea (no pun intended!). Explore with us as we discover why New Orleans' Cajun and Creole cuisines are some of the most desired in the country. Learn about the French Quarter's famously delicious dishes. Meet the people behind the scenes that sprinkle local culture with flavors. Learn the historical facts about the city's oldest restaurants and discover the secrets behind New Orleans creole cooking. 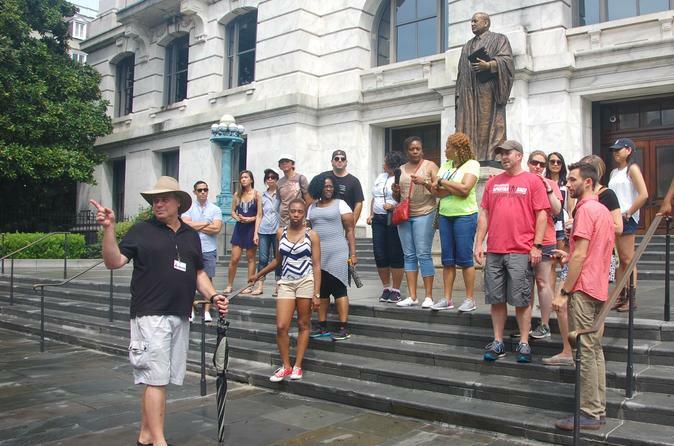 Learn about the architecture of the buildings and their 300 year old history so come and join us for this one-of-a-kind 2 hour crescent city culinary tour that offers a cultural experience you and your taste buds won't forget!